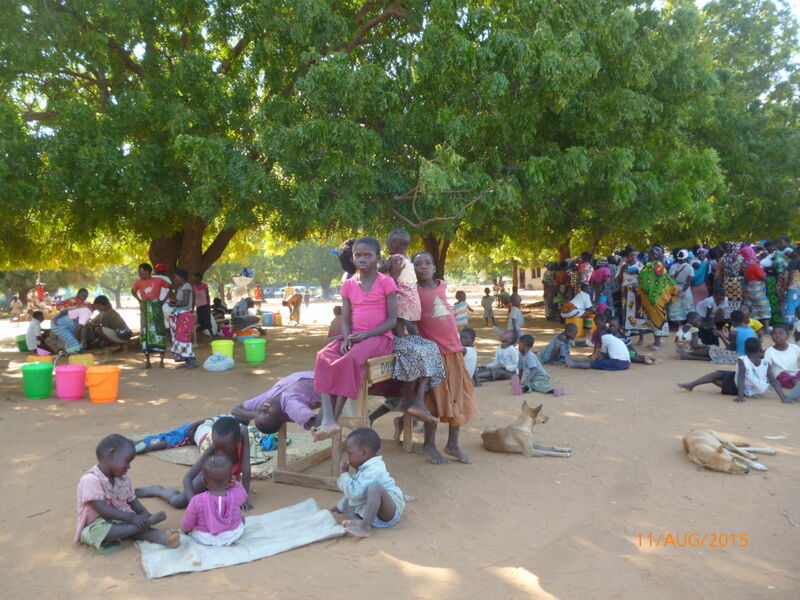 Displaced residents of Katsangani took shelter from recent conflict at Kanagoni Primary School. The question of the role of rumours in conflict begs an understanding into their construction, channels of distribution, their velocity, and their believability in the minds of local communities. True to any multi-ethnic community in Kenya, rumours are key in determining peace and stability. Tana River County presents a very unique case of bipolarity with the presence of farmers and herders from different ethnic backgrounds, political affiliations, and to a lesser extent, religion, living together. 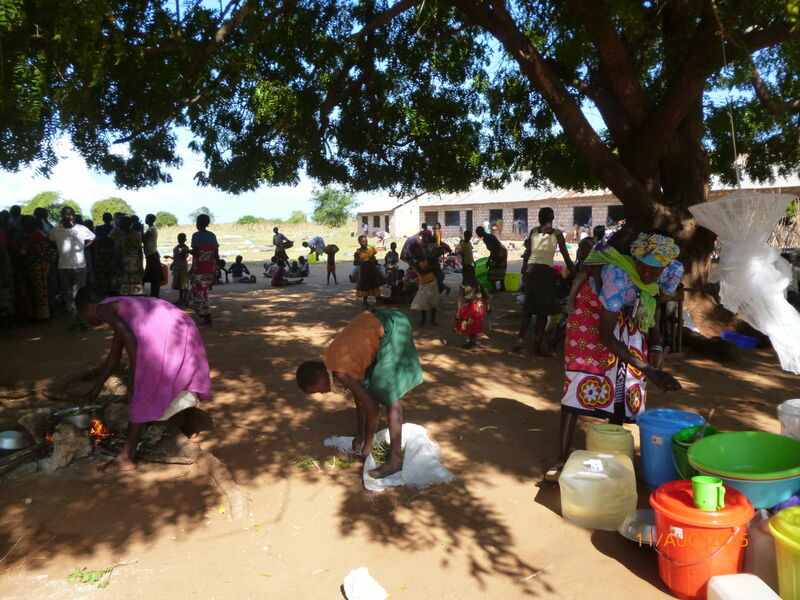 The perennial Tana River conflicts have been attributed to many underlying factors including historical injustice, land factors, ethnicity, politics, marginalization, and competition for resources. Una Hakika saw the need of underscoring the role of misinformation by setting up a free mobile phone-based information system to which locals text in rumours they hear and in return with the help of local authorities, partner NGOs, CBOs, village elders, and community volunteers, verifies the facts and reports back with the correct information expeditiously. By monitoring the origins and flow of rumours we are able to short circuit misinformation and also give early warning, thereby calling for intervention by concerned parties before matters degenerate to conflict. On July 30, a Pokomo fisherman from Chara Location was reported missing after he allegedly visited the nearby Kone Mansa Location inhabited by the Orma for some business deals. Information on his disappearance trickled into our SMS system from our community ambassadors based in the region as they initiated the search. Little was known about his whereabouts but tension was building up along with suspicions of foul play. Incendiary rumours started spreading into Chara Location with very distorted information and later on spilled over to other villages in a spiral, starting from the neighbouring villages of Ozi and Nduru spreading later on as far as Mnazini and Kilelengwani, with ripple effects reaching as far as Hola. The key medium for the rapid spread were mobile phones and social media, where messages with ethnic connotations were posted. A few days later, his decomposing body was found in a swampy area of the Delta with deep cuts. The Una Hakika system captured substantial sightings of this rumour via SMS and voice calls and then rumours of people disappearing from other villages within Tana started coming in. Before the dust settled, another person was killed in Hurara village and tensions rose after herders claimed that one of them had disappeared without a trace under suspicious circumstances. In succession, one person was shot dead and another suffered gunshot wounds in the Katsangani area, which later escalated with unknown arsonists setting several houses ablaze at night, two people found dead, more than 2000 displaced; as the story developed, nine more bodies were discovered in the bush. Many narratives have attempted to explain the cause of the conflict as people try to make sense of the situation, and with them come large amounts of misinformation and disinformation. Some allege that the conflict resulted from the forceful grazing of cattle by Wardei herders on Giriama farmland, and in retaliation the farmers killed one Wardei(1). Others believe that several herders were abducted by farmers and that revenge was necessary, while others still believed it’s a way of sending farmers away in order to acquire land or for political mileage in 2017 general elections. Out of these many narratives, the air along the Tana-Kilifi border has been filled with rumours. When leaders assembled the affected communities, it was clear that their sentiments were biased, with one side saying land allocation and creation of Locations was the major problem, while others strongly believed that animal movement should be regulated and illegal firearms surrendered to authorities. After receiving text messages from our subscribers about the disappearance of the Pokomo fisherman, we reported to the local authority, and as a system trusted by the security personnel in assisting in information verification, action was taken. In the past, it has been difficult for the authorities to believe information sent to them, since people would create rumours of impending attacks either to attract security close to them when they have unfounded fears in what would amount to wastage of government resources in what the County Commissioner termed as “chasing rumours.” The texts received in our SMS system from the different Locations varied in terms of their accuracy, but by working with our community volunteers we received the required updates as needed. Some reported that the man was killed before even his body was found, some reported he was killed by the Orma, therefore collectively accusing the community, while some reported disappearance of more than one person; the information was twisted in many ways as it flowed throughout the region. Our second step was to monitor how far the rumour had spread, that is, which villages had been affected by the information and its velocity. Because the underlying facts were true, save for the ethnicity of the killer, all of these helped in designing a message that acted as a coolant to the already fired up/tense communities. This text helped in many ways, we condoled with the community to show them our support, we condemned the act and asked the residents to be calm as investigations were underway. We also assured them that the security forces have already taken action and several suspects have been arrested. Finally, we requested everyone to be an instrument of peace by staying calm and allowing the law to take its course. This text was target-broadcast to the specific villages the information had reached to avoid spreading the information more. To the specific subscribers who sent in false information we gave them the verified information. All this put together calmed the situation in Chara Location and the Tana Delta at large. In Hurara and Katsangani, the case was different and because misinformation countermeasures were not put in place, to a large extent rumours blew things out of proportion leading to the killings, injuries and displacement in Mto Kilifi, Ufuoni, Kasangani, Mto Tana, Surijani, Mticharaka, Komeni, Bokani, Milimani, Midodoni and Masolo. Una Hakika’s intervention was limited by our geographical scope of operation and so the timely verified information we received only served the Tana Delta residents where we currently operate. What if the warring communities had an alternative means of passing information across to the authorities and to the rest of the communities’ members? What if Una Hakika had the opportunity to send peace messages to the residents? What if the rumours of disappearance of people were short-circuited before they lead to harmful acts like killings and revenge? As a neutral party carrying out research, one lesson we have learnt since the deployment of Una Hakika is that it is unfeasible to realize lasting peace without communities having a trusted source of information and are left to rely on a few “rumour peddlers,” who in most cases intend to benefit from chaos. A replication of the Una Hakika service in other areas that are prone to conflict, starting with neighbouring Lamu and Kilifi counties, will go a long way in contributing to peaceful coexistence and build the capacity of communities to recognize and counter misinformation. (1) The Wardei are a small ethnic group living in part of the Tana River District alongside the Orma. Like the Orma, the Wardei are also mainly pastoralists and are predominantly Muslim.